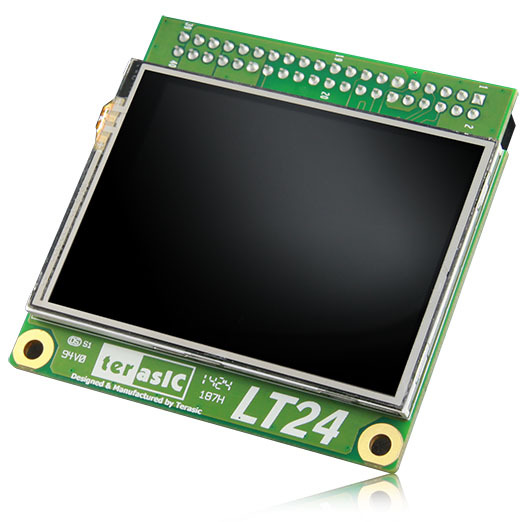 The Terasic LT24 is a 2.4” LCD touch module with 240(H) x 320(V) display resolution. It can be bundled with various Terasic FPGA development boards through the 2x20 GPIO interface. The LT24 is powered directly from the FPGA mainboard. It doesn’t require any power adaptor. The kit contains complete reference design and source code for the Painter application.